(L) Low Power: Has lowest VSWR for precise laboratory measurements. (LS) Low Power with Sliding Load Element: Has movable plunger and locking mechanism for higher precision and calibration of standards. (W) True Water or Liquid Load: Coolant absorbs RF for high power testing and calorimetric measurements. These units operate with a typical fluid pressure of 10 PSIG and a flow rate of 0.5 gallons per minute for every 1 kW of average RF power. Standard flanges are cover, MEC-C3 Series. Other flanges are optional. Finish is chromate conversion per MIL-C-5541, Class 3. Paint is epoxy enamel (Gray for (L) & (LS) and Black for (W)). 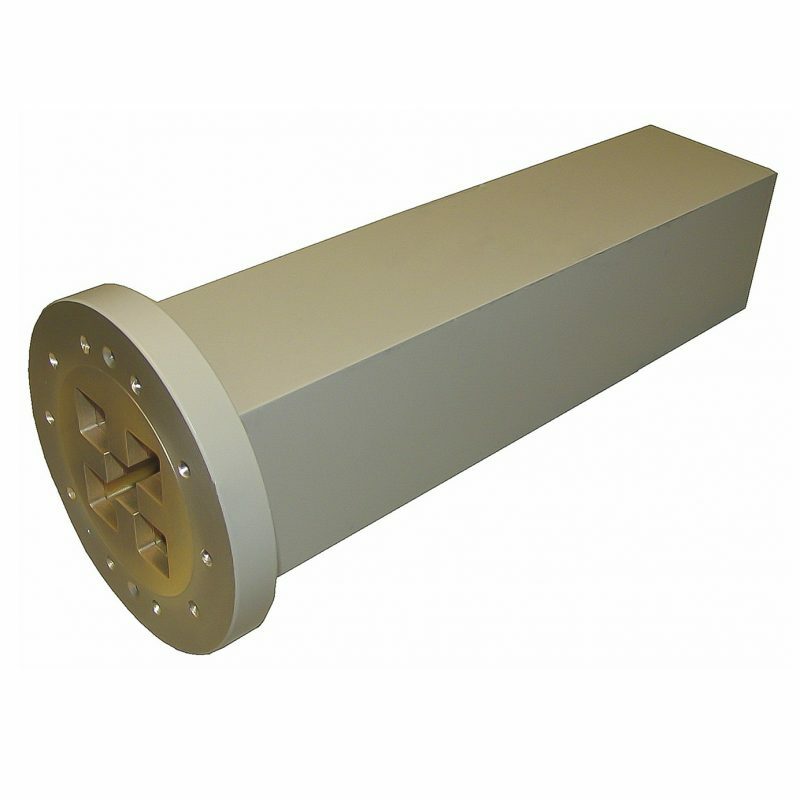 A power sampler can be incorporated in any of the terminations for one or both linear modes. Sampling levels range from 30 to 50 dB with typical flatness of ±1 dB. (1) For the power sampling option add “-PS” to the model number followed by the coupling value. (2) For terminations with custom frequency bands, size, heat sink, cooling fan, or other options, please contact M.E.C. All customer designs are welcome.